Welcome to the website of Mr Blackburn. 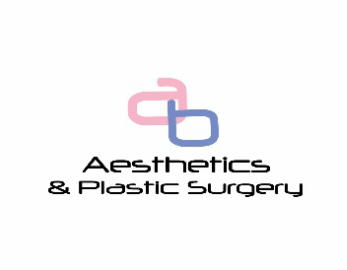 He is a British trained Consultant Plastic Surgeon who is on the GMC's specialist register for Plastic, Reconstructive and Aesthetic Surgery. Mr Blackburn is a substantive NHS consultant working at the Queen Victoria Hospital in East Grinstead and the Royal Surrey County Hospital, Guildford. In the NHS he specialises in Microsurgical Breast reconstruction, Skin cancer, Lower limb, Gynaecological and Perineal Reconstruction. He also sees patients privately for cosmetic and reconstructive procedures at the New Victoria Hospital in Kingston, the Mount Alvernia Hospital in Guildford and the McIndoe Surgical Centre in East Grinstead. Mr Blackburn studied medicine at Imperial College School of Medicine (University of London) where he graduated with distinction. Whist studying for his MBBS degree he obtained a first class BSc Honours degree in physiology and was awarded the British Physiological Society's undergraduate prize. Following his basic surgical training at the Royal Surrey County Hospital in Guildford, he commenced his plastic surgery training in 2002. He trained at Wexham park, St George's, Charing Cross and Chelsea and Westminster Hospitals before moving to the North East of England to complete his higher surgical training. During this training he gained experience in all aspects of Plastic surgery, both cosmetic and reconstructive. In 2010 he was awarded a prestigious trauma fellowship at the world renowned (for trauma reconstruction) Ganga Hospital in Coimbatore, South India. Here he learnt how best to use advanced microsurgical techniques in the management of patients with major trauma. In 2011 he returned to London having attained the distinguished post of microsurgical fellow at St Thomas' Hospital. Here spent 15 months honing his expertise in microsurgical breast reconstruction, perineal reconstruction and chest wall reconstruction. Mr Blackburn started working at the Queen Victoria Hospital in East Grinstead in 2012 and spends most of his working week there. However, since this time he has developed a close working relationship the Royal Surrey County Hospital and he performs complex reconstructions for the for the departments of breast surgery, gynaecology and general surgery when required. *VF Blackburn & AV Blackburn: Taking a History in Aesthetic Surgery: SAGA – the Surgeon’s Tool for Patient Selection. JPRAS 2008; 61:723-9.